3) Select the gift voucher option in the drop down menu. Treatment Detail Magnesium, Potassium, Zinc, Vitamin A and E form a mineral army to jump-start tired and exhausted skin. An amino active mask helps restore lost moisture, deeply nourish, detox and pack the skin with powerful, energising nutrients. 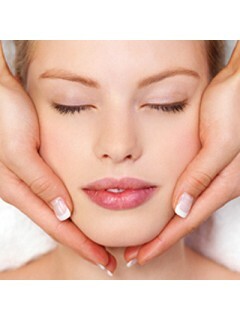 Recommended Frequency 1 treatment every 3 weeks. Course of 6 recommended. 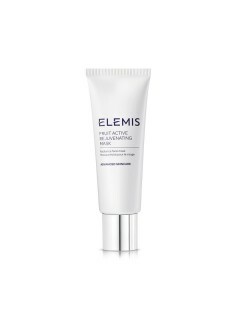 Visible Results Clinically proven to reduce the number of wrinkles by up to 97% and improve skin firmness by up to 93% after just 1 treatment*. Specialised lifting massage, combined with proven marine extract, Padina Pavonica, helps re-energise cell communication and rejuvenate skin. 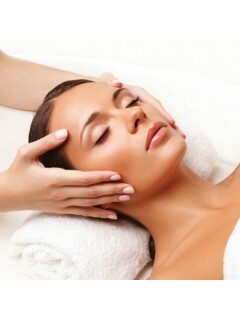 Fruit Active Rejuvenating MaskRadiance boosting maskBENEFITS: Revitalizes, Brightens, Nourishes.. Gentle Rose ExfoliatorSmoothing skin polishBENEFITS: Refines, Revitalises, BrightensReveal radi..
Herbal Lavender Repair MaskSoothing clay maskBENEFITS: Purifies, Soothes, RebalancesThis skin b..
Elemis Facial - Pro-Collagen Age DefyExperience the age-defying benefits of marine-charged Padina Pa..
Elemis Facial -Pro-Definition Lift and ContourRestore the architecture of your face with potent plan..
Elemis Facial - Dynamic Resurfacing Precision PeelThis highly potent couture resurfacing treatment t..
Elemis Facial - White BrighteningIlluminates and brightens for a naturally more even complexionTo bo..